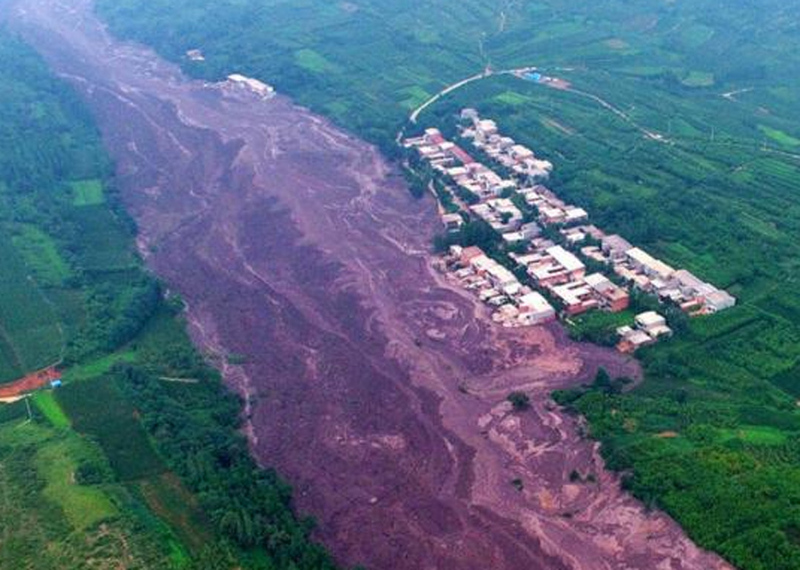 According to the AZ China blog a major tailings dam failure at an aluminum refinery in Luoyang, Henan Province over the weekend caused a mud slide that partially destroyed a nearby town. "According to local newspaper reports, the dam wall suddenly broke and silt mixed with stones from the mountainside rushed down, and the village was totally submerged. This village is home to around 300 villagers and they were transferred in an emergency evacuation. No one was killed or injured. "The villagers are living in a primary school in Xinan County temporarily. Sadly, the red mud buried many farm and domestic animals because it was too late to save them. It has been reported that the dam held about 2 million cubic meters of red mud and was about 1.5 km in length." Aluminum Insider reported that the Xiangjiang Wanji Aluminum refinery which has a 1.4 million tonne per year capacity was shut down and villagers evacuated ahead of the dam burst. Authorities have been cracking down on the industry recently, forcing refineries to tackle pollution and shutting down a number of bauxite mines in the province.